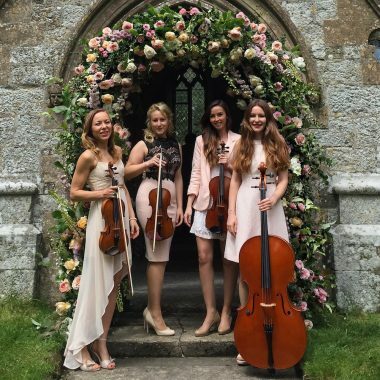 Female string quartet for hire. 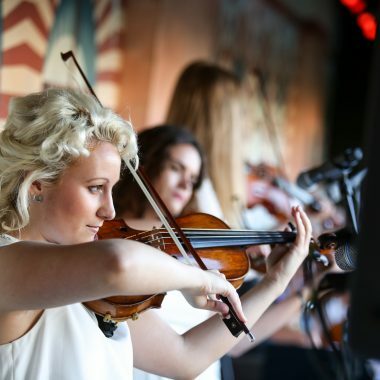 Secret Strings put a fresh new spin on the string quartet, giving a lively performance of pop, jazz or classical music using acoustic or electric instruments. Secret Strings put a fresh new spin on the traditional string quartet. 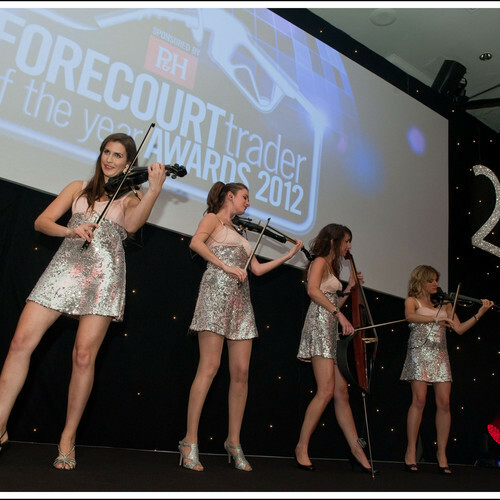 The girls perform standing up (cello sits) for a lively performance of your favourite pop tunes. Music includes string quartet arrangements commissioned especially for the group setting them apart from other string quartets on Europe’s music and event scene. The girls are able to commission music on request unique for your event, perfect for special occasions, product launches and themed events. As a talking point amongst your guests why not divulge in the girls success. Trained at London’s leading music colleges the girls can be spotted on TV performing alongside Muse, Katie Melua, Pink, Rhianna, Plan B, Tinie Tempah and Robbie Williams. Music for drinks reception up to 2 x 45 minutes of pop music or a mix of classical, jazz and pop. 3 x 45 minutes is available on request. Classical Music from the Proms also available. Background music 2 x 45 minutes standing, 3 x 45 minutes sitting. Show options: Choose between their pop or classical crossover. “I wanted to drop you a quick note to say thanks for Thursday night – The girls were a complete hit and a pleasure to work with.